News: Menswear hits Kickstarter - Well Dressed Dad - It is a proper menswear blog. Like, with original words and opinions and suchlike. 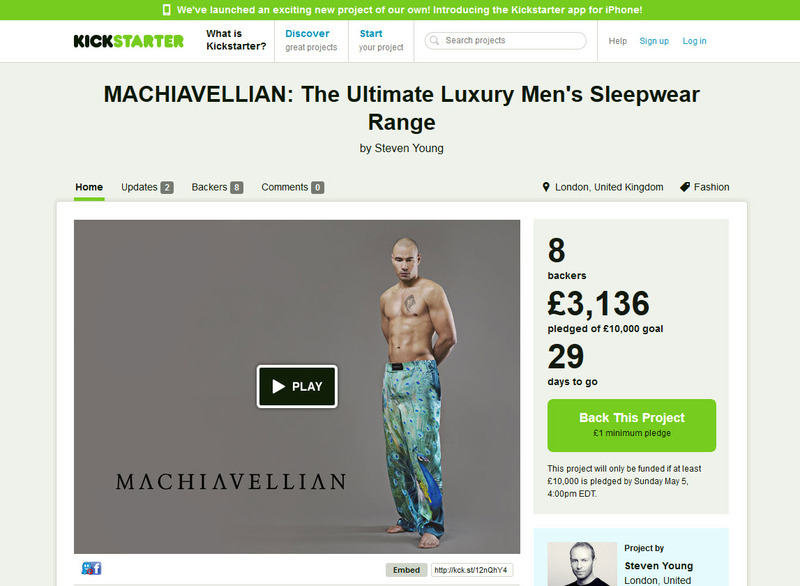 Kickstarter, the popular and innovative website for seeking funding through crowd-sourcing has seen yet a new use today, as UK-startup Machiavellian is seeking funding to launch it’s new brand of high-end men’s sleepwear. Kickstarter started out being mainly about seeking funding for geeky gadgets, but has seen massive diversity in the projects seeking necessary funding. As far as I know, this project by Machiavellian is the first attempt at finding funding to launch a new brand of hyper-exclusive silk pyjamas! 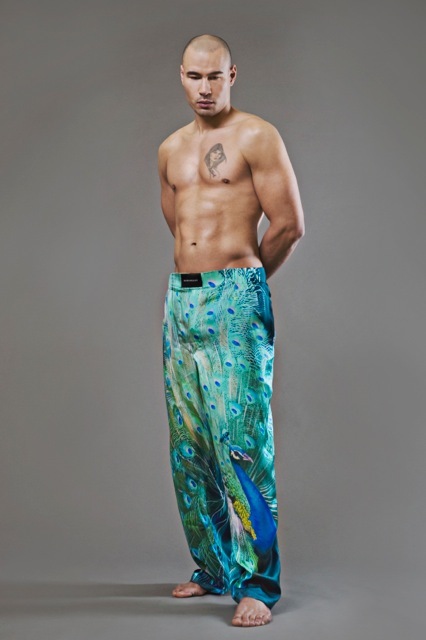 The actual first product being launched now are pyjama bottoms at the quite eye-watering price of 700 pounds a pair. Get in as an early backer though and you can get your first pair at a 50% discount. Rather to rich for me, I’m afraid, but I’m sure Steven will find gentlemen with both funds and a taste for the brazen prints! In case you are of the shy sort, the fly is said to be triple covered for privacy. Good to know, though I hardly think anyone entering their boudoir in a pair of the peacock emblazoned jammies is a shrinking violet! For more information about the project on Kickstarter, here is a direct link.